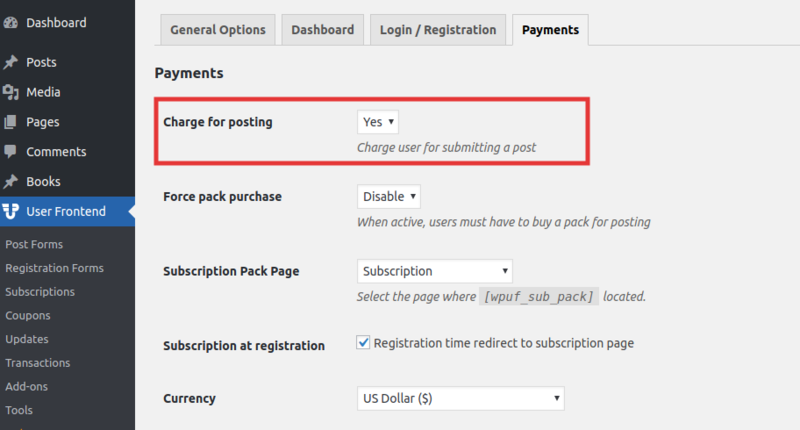 Navigate to wp-admin > User Frontend > Settings > Payments, now select Yes for Charge for posting option. 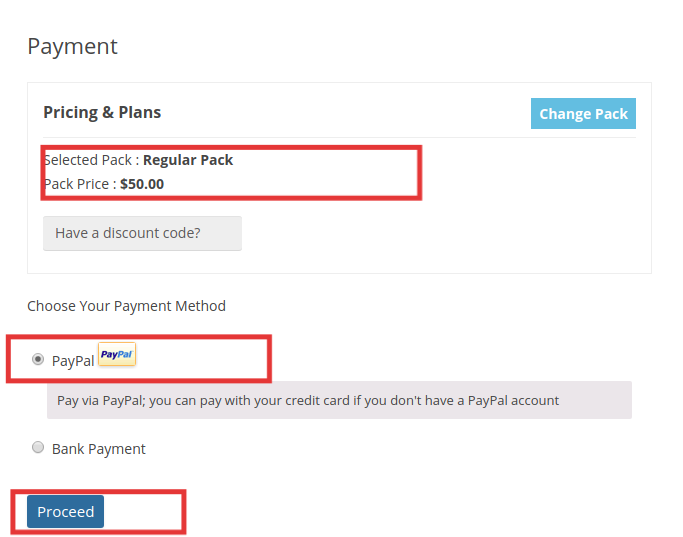 2.Enable Subscription at registration option from wp-admin > User Frontend > Settings > Payments. 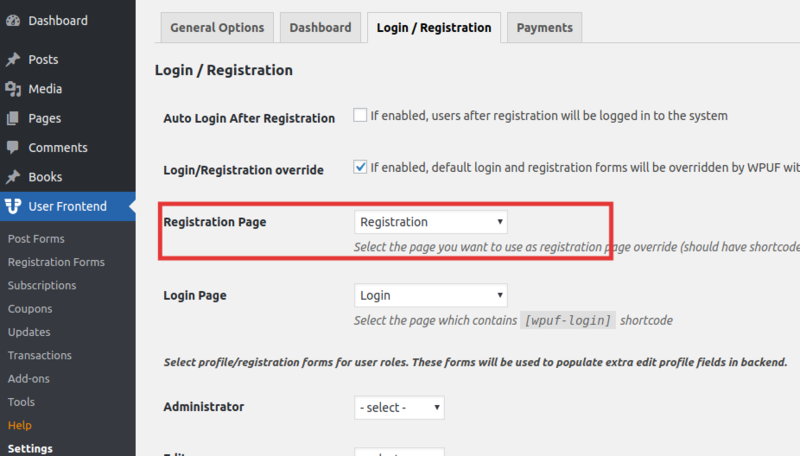 4.Navigate to User Frontend > Registration Forms, create a new registration form. Copy the form shortcode. 5. 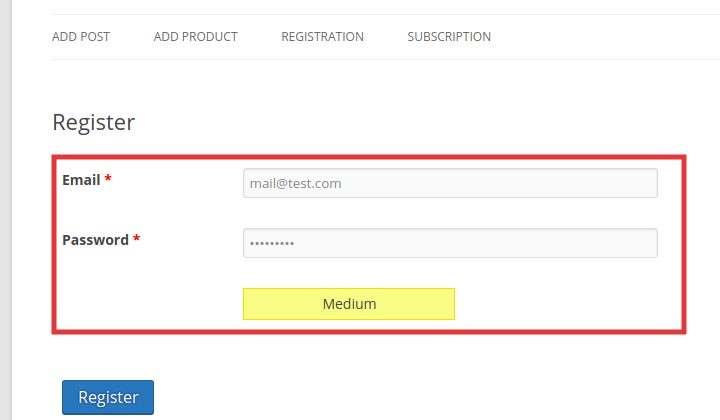 Create a new page, paste the registration form shortcode in the editor and save the page. 7. 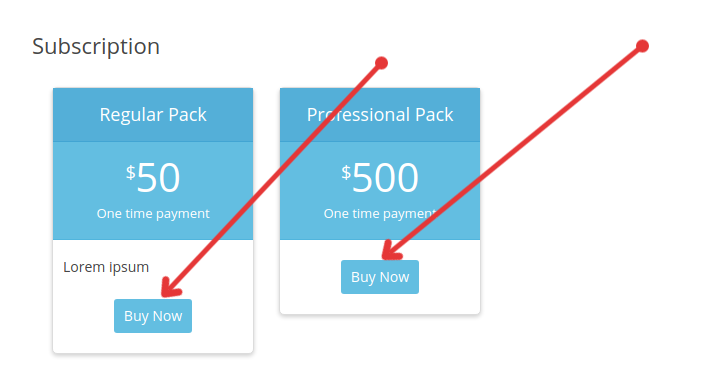 Now, you have the configuration to force your users to purchase subscription. 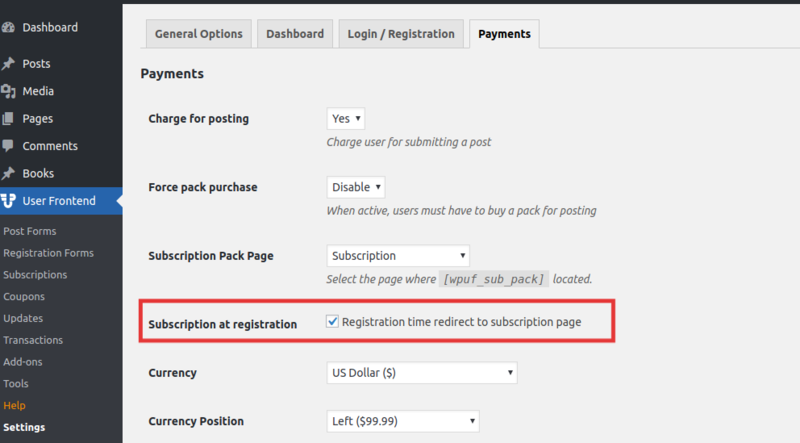 When a logged out user browse registration page it will redirect to subscription page instead of showing registration form, after completing the signup process user have to purchase subscription pack accordingly. 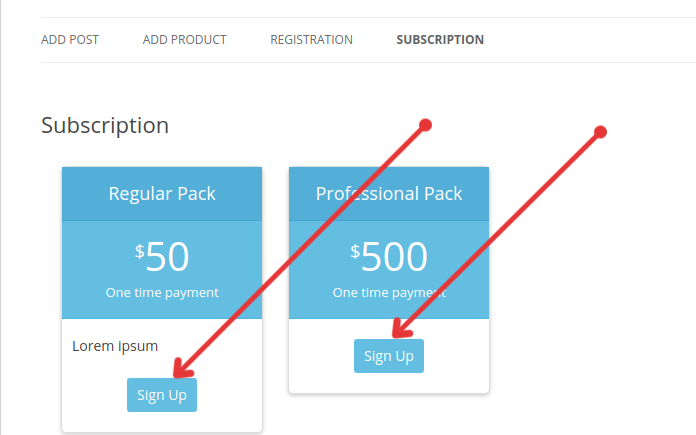 Without purchasing subscription pack the signup process will not complete.